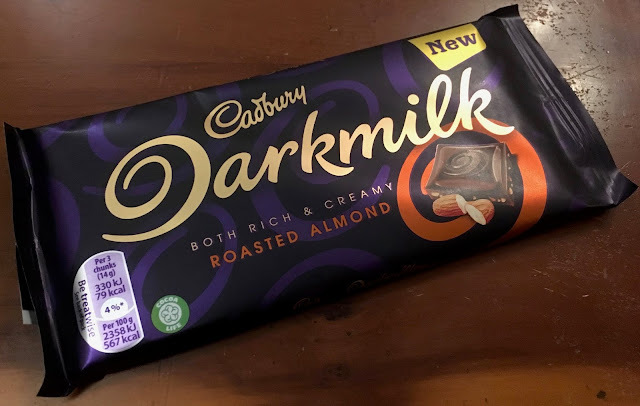 Cadbury Darkmilk chocolate has been out for a few weeks but seems to have alluded me, and I have tried many shops looking for it in the West Midlands. Please note although similar in name to Dairly Milk, Darkmilk is a whole new product. I was popping into WH Smiths after a lovely day off work and a shopping trip to have a final browse at books when I spotted this new bar, Cadbury Darkmilk - Roasted Almond, on the counter. Obviously Darkmilk is doing well if they have already released a new flavour variant in the range. So the idea of Darkmilk is a new chocolate from Cadbury that is a half way into being a dark chocolate (like Bournville) and half way to being a milk chocolate (like Dairy Milk). As a big fan of nuts and chocolate I felt this bar of Cadbury Darkmilk Roasted Almond was an ideal place to try out this new bar chocolate. The bar itself does look quite dark, and the almonds are quite hidden on the front but are visible on the back. I gave it a taste and have to say I was impressed with the flavour. The bar is richer than Cadbury Dairy Milk, there is plenty of cocoa flavour and that enhancement I did really enjoy. 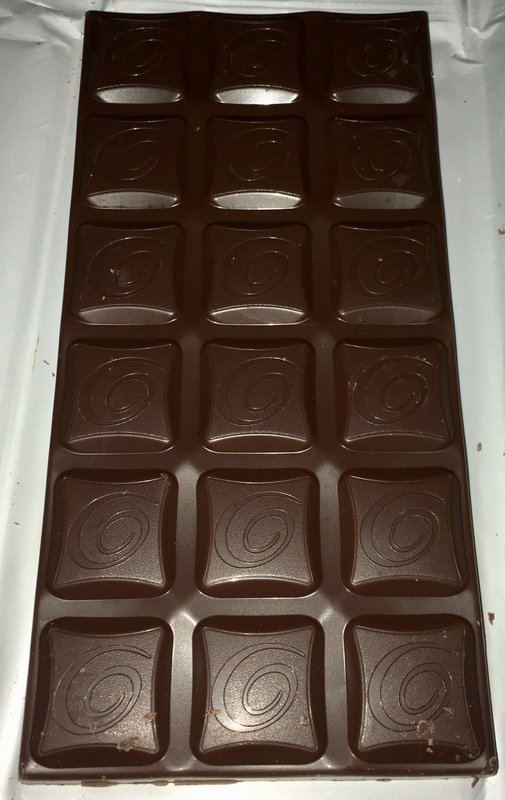 The bar is silky too, and lovely and smooth. The nuts have a good strong roasted flavour and are crunchy and add lovely layers of texture. It is still sweet though, there was no bitterness from the chocolate. I thoroughly enjoyed this bar, it isn’t as soothing a Dairy Milk but the extra cocoa and richness is a lovely treat. I guess it is not better or worse than Dairy Milk, just different and perfect when you are in the mood for something a bit stronger.